The world’s oldest theatre newspaper has relaunched its print edition after 135 years as it also increases its online focus. The Stage's black and white masthead has been redesigned to fit in with the design of The Stage’s website. Editor Alistair Smith said: “Over its 135-year history, The Stage has always moved with the times, evolving its design to reflect contemporary tastes. 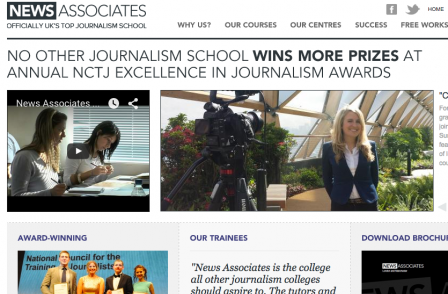 “As The Stage website becomes more and more central to an ever-growing readership, we wanted to unite the paper and website under a single design to reflect the fact that readers can access all the great news, reviews, opinion and features we offer in whatever way suits them, whether that be in print, on a mobile phone, tablet or computer. Smith also stressed the uniqueness of the title as a reason it continues to be read by people in the industry. The Stage website claims to have 450,000 unique visitors each month and the number of people reading the print edition is declining. When it was last ABC-audited, in 2010, it had a print circulation of 16,000. Casting call-style adverts are still an important part of The Stage's print proposition and have helped launch the careers of famous faces including Dusty Springfield, Sandi Toksvig and Pixie Lott. 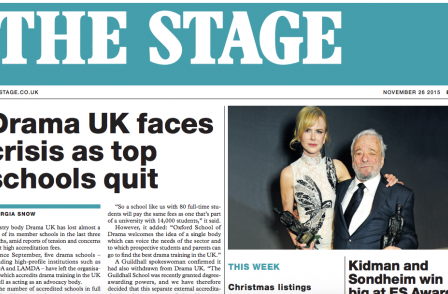 The Stage, which publishes more theatre reviews from across the UK than any other outlet, employs ten editorial staff and has around 50 freelances writing for it. Smith said the thriving theatre industry has helped The State to stay in print.